Hello! This post is part of my illustrated recipes series. I love making food and I love drawing it, so I figured I should put the two together! I’ve had a lot of practice with these muffins because one of my best friends really likes them, and she ain’t afraid to make requests! Having said that, they’re really really easy to make. TOP TIP: I’ve always used tinned apricots rather than dried ones. If you live in the UK, go to Sainsbury’s and buy tinned breakfast apricots instead of regular apricot halves. They’re smaller and sweeter and you won’t need to chop them up (unless you want to separate the halves, which I often do). This recipe is a bit more complicated, but I’ve still managed to make it a few times without a candy thermometer. Just go for it! It looks and smells amazing while it’s cooking, and tastes really good when it’s set. Hello! 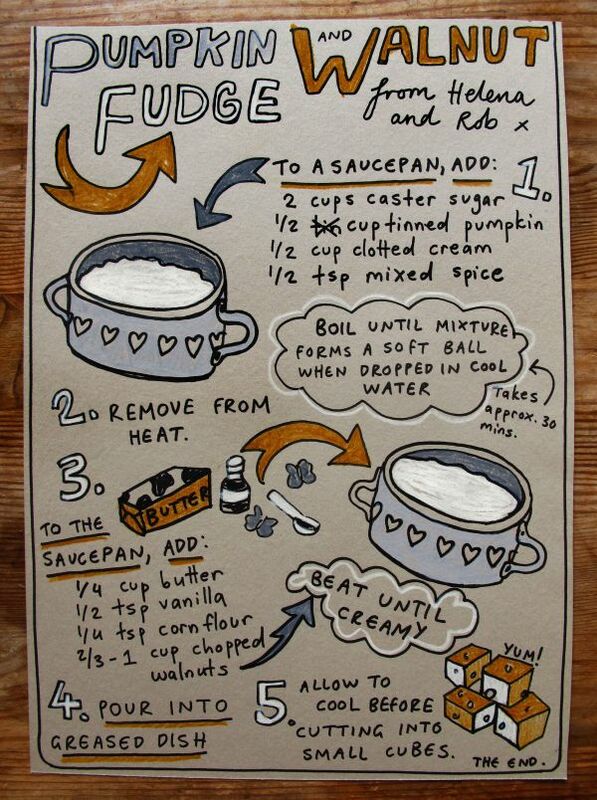 This blog post is part of my illustrated recipes series. This week I felt like making peppermint patties, but when I realised I was all out of peppermint extract, I knew I had to get creative. I had recently bought a bottle of Morello Cherry Cordial and thought it would work perfectly. 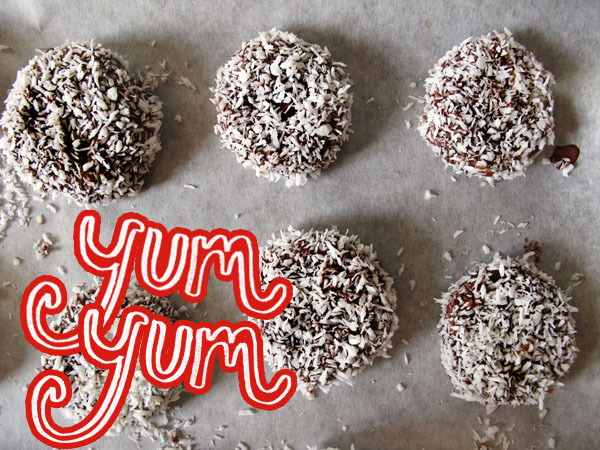 Of course, cherry and chocolate always makes me think of these, so I had to throw coconut into the mix as well. You can always leave the coconut out if you prefer, and you could always substitute the cherry cordial for any other flavour. 1. Combine all the ingredients for the filling in a large bowl, and stir until combined. You should end up with a firm, dough-like consistency. If the filling is too sticky or wet, simply add more icing sugar until it firms up. With your hands, roll teaspoonfuls of filling into balls, and then flatten the balls into discs with the heel of your palm (see above picture). Lay the discs onto a tray lined with greaseproof paper, and put them into the freezer for at least half an hour. (I left mine there overnight and they were completely fine.) Make sure you don’t skip the freezer step, because this prevents the discs from falling apart when you dip them into hot, melted chocolate later on! 2. While the filling is in the freezer, prepare your coatings. In one small bowl, melt your chocolate. You can either do this using a double boiler, or you can do it (carefully) in the microwave. Fill another small bowl with the dessicated coconut. 3. Remove the discs of filling from the freezer. You will need to coat each truffle individually or you will make a giant mess if you do them all at once! 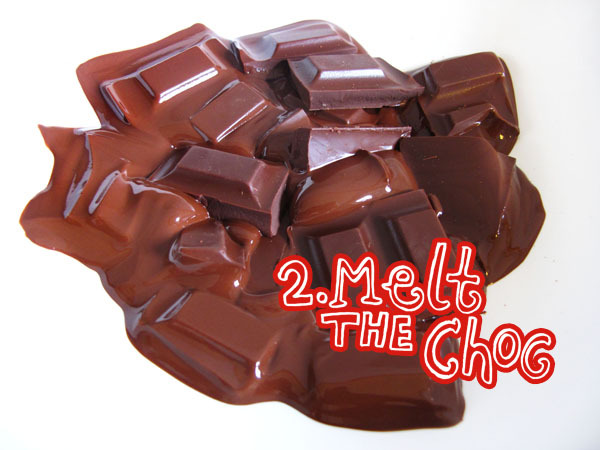 Start by dropping a frozen disc of filling into the bowl of melted chocolate, so that it is completely coated. 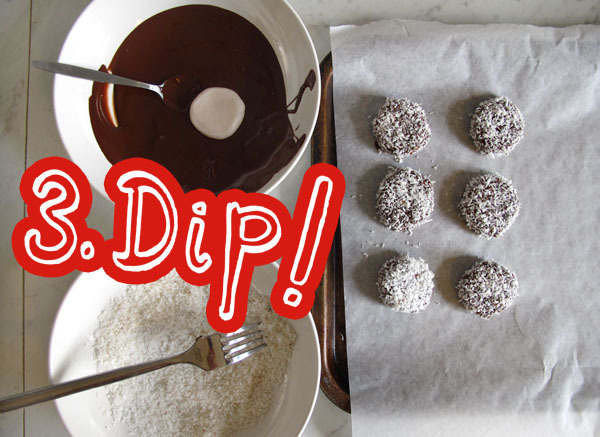 Using a tablespoon, lift it out of the chocolate and immediately drop it into the bowl containing coconut. I used a fork to flip the truffle over to make sure both sides are covered in coconut. Then place the truffle onto a tray lined with greaseproof paper and wait a few hours until the coating hardens. Enjoy! That’s all that’s left to do! These are delicious and make very cute presents. They can also be stored in the fridge for several weeks. Gingerbread Stars: An Illustrated Recipe. Hello! This blog post is part of my illustrated recipes series, because I love making food as much as I love drawing it. Every Christmas, I make gingerbread. I love the way it makes the house smell spicy and amazing, and I love spending a couple of hours decorating the cookies. For this year’s first batch, I made gingerbread stars. However, you can make any shape you like. I don’t judge. My cookie recipe is the Waitrose Christmas Gingerbread recipe. It’s essentially foolproof, so I’ll leave you to it. However, I DO have some decorating ideas I’d like to share! 2. In a separate dish, spread a thin layer (half a centimetre will do) of caster sugar. If you like, combine – or replace! – the caster sugar with sprinkles of your choice. I added blue and green sugar balls. 3. Use a butter knife to spread a thin coating of icing all over each cookie. Alternatively, place a thick blob of icing in the centre of the cookie. 4. Immediately place the cookie into the dish of sugar, with the iced side facing down. The sugar (or sprinkles) will stick to the icing and create a sparkling, crunchy surface. 5. Dust off the excess topping by gently tapping the cookie, then allow the icing to harden on a tray or wire rack. If you’re feeling extra fancy, you can opt for delicate piped decorations (see above). For example, if you make gingerbread men instead of stars, you can use a piping bag to ‘draw’ eyes, noses and buttons. Make the icing in the same way as before, but rather than applying it to the cookies with a knife, fill a piping bag with a small, circular nozzle…and get piping! Alternatively, you can buy icing in a tube from most supermarkets. All you do is open the packet and squeeeeeze. Simple. Feel free to decorate with coloured sprinkles, and make sure to let the icing dry thoroughly before you stack the cookies. The cookies can be stored in an airtight container for a couple of weeks, so you can make them in advance and give them as Christmas presents. They look pretty and taste delicious, so what are you waiting for? Eh? Enjoy! Brownie Sandwich Cookies with Raspberry Buttercream: An Illustrated Recipe. Hello! This blog post is part of my series of illustrated recipes, because I love making food as much as I love drawing it. This time, I madeChocolate brownie sandwich cookies, filled with raspberry buttercream. These were totally amazing and I highly recommend them. They’re chewy and rich, and the filling adds just the right amount of zing. I’ve adapted the recipe from this pretty food blog. The recipes for the brownie bit is the same, but I’ve written it down for you because the blog is in Polish, and Google Translate gave some pretty…er… questionable directions (involving the word ‘slaughter’). Melt the butter and 200g of the chocolate in a double-boiler (reserve the rest of the chocolate). Allow to cool. In another bowl, whisk the eggs, sugar and vanilla until thick and fluffy (about 5 minutes of whisking). Pour the melted chocolate mixture into the egg mixture. Mix well. Gradually add the sifted flour, baking powder and salt to the chocolatey mixture. Finally, Add the remaining 100g of chopped chocolate, and stir well. Allow the mixture to stand for 10 minutes. This last stage is very important as it gives the batter time to thicken up. While waiting, preheat the oven to 180 degrees C. Line two cookie trays with baking parchment. 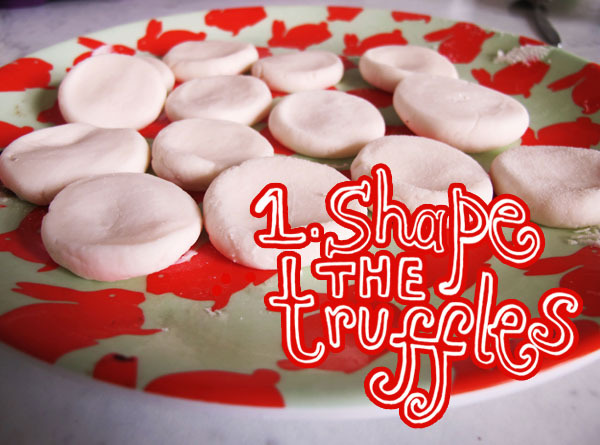 Use a teaspoon to spoon dollops of batter onto the cookie trays. Arrange the dollops several centimetres away from each other, as they will expand. Bake for 8-10 minutes. Allow to cool thoroughly while frosting. Mash the raspberries with a fork. In a large bowl, combine the raspberries with the sugar and butter, and whisk until light and fluffy. The consistency of the filling must be fairly thick (almost like peanut butter), so feel free to add more icing sugar if it seems too runny (or a teaspoon of water if it seems too thick). Use a butter or palette knife to smooth the filling onto cookies, and press another cookie on top to make the sandwiches. Note that you don’t need food colouring to get the bright pink colour – the raspberries do the job! You should make these. You really, really should. and if you do? Show me! 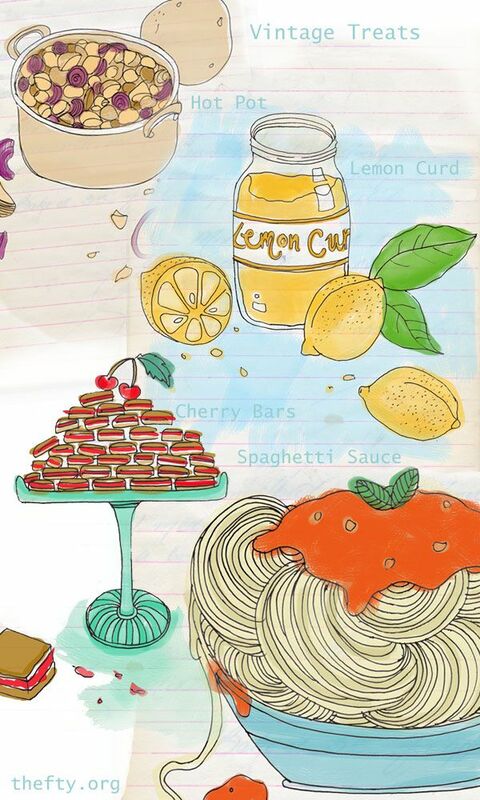 Raspberry and Lemon Drizzle Muffins: An Illustrated Recipe. Hello! This post is part of my Illustrated Recipes series. Today I made a batch of raspberry and lemon drizzle muffins, adapted from this recipe. Preheat your oven to 180 degrees C. Line a muffin tin with paper liners and set aside. Combine all ingredients (except the raspberries) in a large bowl. Mix well with an electric mixer or by hand. Finally, fold in the raspberries with a spatula. Pour the batter into the lined muffin tins. Bake in the preheated oven for approximately 20 minutes. The muffins are ready when they are springy to the touch and lightly golden on top. While the muffins are cooling, combine the lemon juice and caster sugar in a small bowl. Poke holes into the muffins using a baking skewer (or sharp knife) while the muffins are still hot. Immediately drizzle the lemony mixture over the top of the muffins. 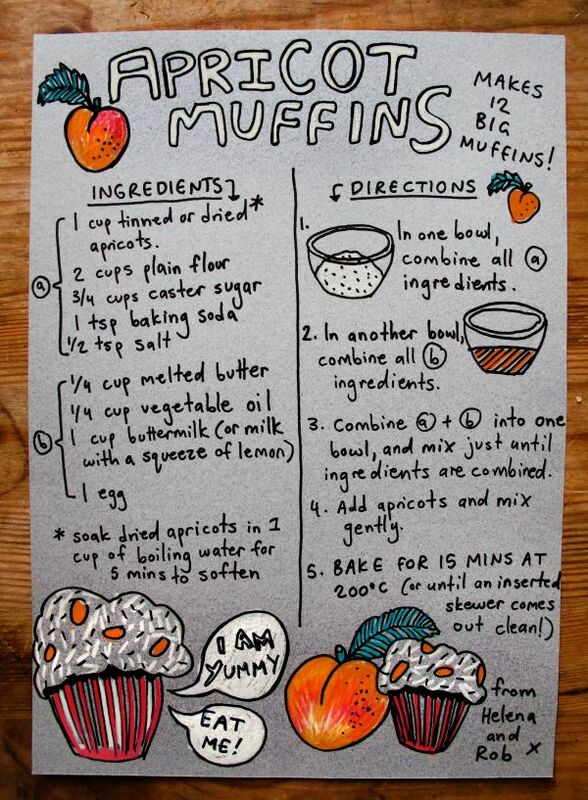 It should seep into the muffins and make them extra delicious. Remove the muffins from the tin and cool on a wire rack. In the name of research, I ate one of these muffins. They are bright red and raspberry laden on the inside, and the muffin tops are slightly crunchy from the sugar in the drizzle. Good looking and very tasty. Blueberry & Apple pies: An Illustrated Recipe. Hello! Apart from drawing a lot food, I also love to cook it. This blog post marks the beginning of a new series where I’ll share my baking adventures with you, by way of drawings and photographs. Yesterday, I baked mini blueberry & apple pies for some friends who were coming for dinner. STEP ONE: Grease four ramekins, and press the dough into them. Bake for 10 mins at 175 degrees Celsius. STEP TWO: Make the blueberry and apple filling and admire the colours. Inhale deeply! STEP THREE: Spoon the filling into the part-cooked pastry pie shells. STEP FOUR: Place the uncooked pastry lids on top, and cook for another 30 mins. Ta-da! STEP FIVE: Grab a spoon and get into that pie! (Don’t burn your tongue.) STEP SIX: Serve with whipped cream and share with your friends. STEP SEVEN: Clutch your full belly with satisfaction. The original recipe (& instructions) can be found here. The Verdict: These were really easy to make, they tasted amazing and they made the whole house smell like cinnamon. 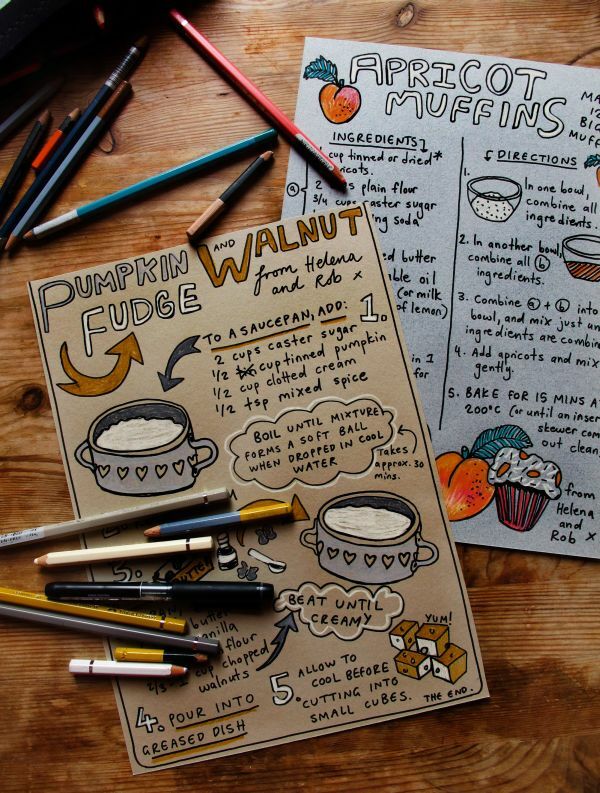 Pencils and Pie: Drawing the Great British Bake Off. Hello! Who is a fan of Great British Bake Off ? I am. Last week I caught up on all the episodes I’d missed (I’d had no internet or TV for 3 weeks), and I decided to do some sketching while I watched. 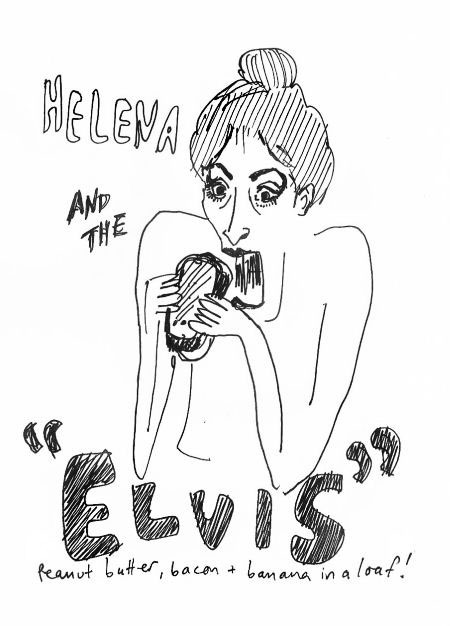 I drew some of the droolworthy treats, as well as some of my favourite contestants: Brendan, Cathryn, John and James. This was from the pie episode, in case it isn’t obvious. I really love pie (in case that also isn’t obvious). Food is a beautiful thing! I love watching it, drawing it…and eating it. I can’t wait to watch tonight’s episode! Good luck to the remaining contestants. 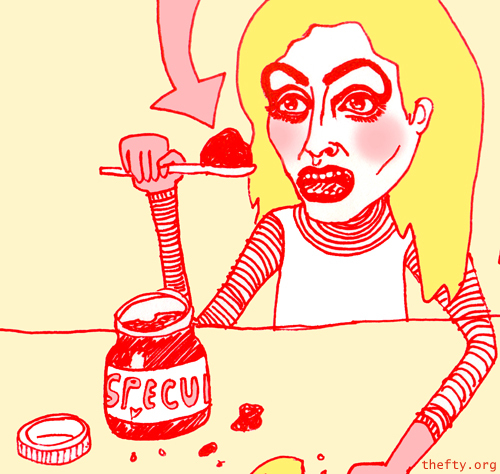 Feast O’Clock: An Illustrated Story. Hello! Last week I attended an Illustration Workshop at Central St. Martins. One of our projects was to create an illustrated mini-book. My book theme was ‘it was excessive’ and I made a book about a midnight feast. This illustration was made for Amelia’s Magazine. You can see the full Olympics round-up post over here. Hello! I’ve been working on an exciting project which combines a few of my favourite things: Food, the 1960s, and family treasures. I was approached by Miss E., who had an excellent idea for her mother’s birthday. See, Miss E’s mother has her mother’s (Doris) handwritten recipe book from the 1960s, but the book is falling apart. 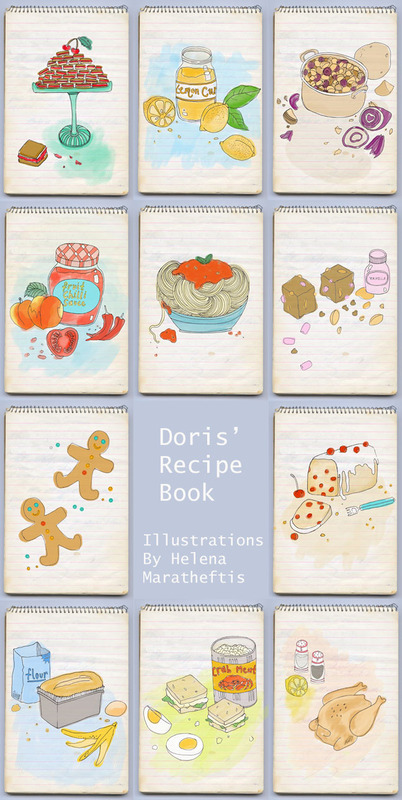 Miss E. had the idea of turning Doris’ old book into a new, digitally printed book…featuring illustrations by me! The images below are scans from the pages of the original recipe book. There are over 50 recipes in total, either in beautiful handwriting or typewritten text. I am so glad that Miss E. has chosen to print the original scans – with their scribbles and splotches – rather than just typing out the recipes again. There’s something so charming about them. The book is so beautiful and I wish I could show you all the pages! It has been an honour to be Doris’ collaborator, and I can’t wait to try out some of the recipes (with Miss E’s permission, of course!). Oh, and my best wishes to the birthday girl! 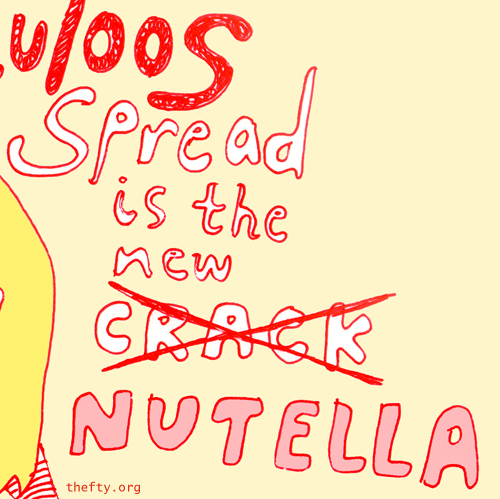 Last weekend I went to Brussels, and I brought back a little pot of Speculoos spread. I had noble, gourmet intentions. I was going to add it to brownie batter, or use it to make fudge, or something equally deluxe and exciting. I did this sketch one night when I was thinking about sandwiches (I do that a lot). I’ve never eaten this particular sandwich, but I’m sure it must be glorious. I’m a big fan of drawing foodstuffs. If you send me a picture of yourself and tell me your favourite food, I’ll make a sketch of you stuffing your face! GO!